Jurgen Klopp has revealed Liverpool have been paying close attention to the transfer market in preparation of possibly strengthening in January, but Philippe Coutinho’s injury won’t force the club to make a purchase. The Brazil international is facing a sideline spell of up to six weeks after sustaining ankle ligament damage in Saturday’s 2-0 victory over Sunderland. While the 24-year-old has designs on making a quicker recovery than is normal for such a setback, targeting the New Year’s Eve hosting of Manchester City, it will still leave the Reds short of his services for much of the festive period. With Sadio Mane away at the African Nations Cup in January and Danny Ings ruled out for the season, the Merseysiders had already been assessing whether they should bolster their squad when the winter window opens, and if there is any business really worth doing at the turn of the year. The club have been tracking young wide forwards, with Bayer Leverkusen’s Julian Brandt and Christian Pulisic from Borussia Dortmund two of the players under consideration. 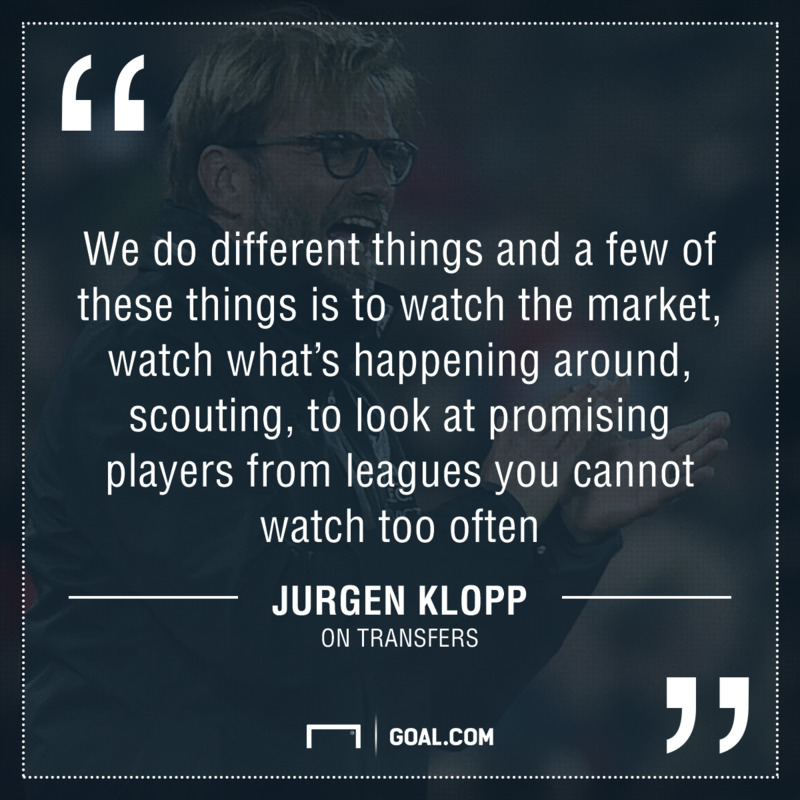 However, neither talent would be easy to attain – especially not mid-season – as both Bundesliga clubs are unwilling sellers. “We have a few hours of training a day, but I’m here for much longer than for training. 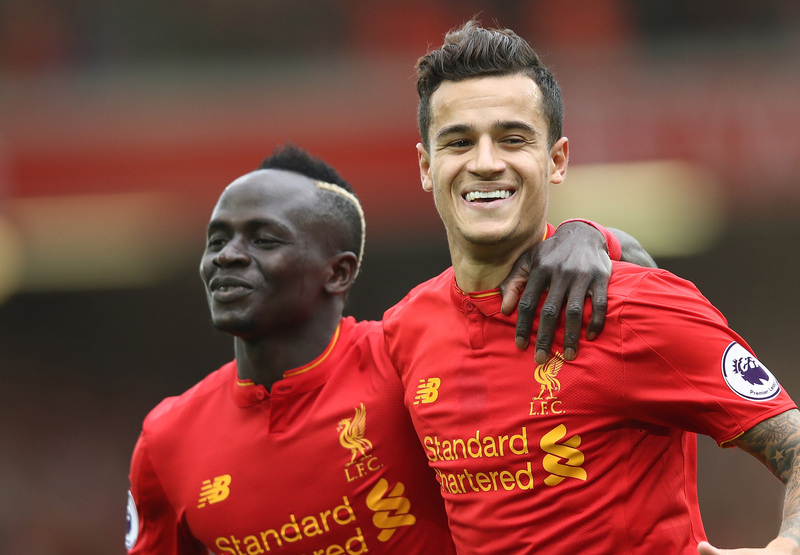 In all this time, we do different things and a few of these things is to watch the market, watch what’s happening around, scouting, to look at promising players from leagues you cannot watch too often,” Klopp said when asked if Liverpool would consider softening the Coutinho blow through recruitment. “That’s what we do all the time. That doesn’t mean we can take one, but it’s only to be informed – to know about development, strength, whatever and that’s what we do. “That’s preparation for a situation that could be in the next transfer window. Actually, I’ve thought before [Coutinho got injured] about it, but it doesn’t mean we’ll do it. “We have to think about it all the time, to prepare the situation. We’ve already prepared for the summer and that’s how it is. “We’ve spoken about the camp, organised the camp for the summer and all this stuff, whether transfers will be done or not, if we have another few injuries or not… We will see. “Maybe a few young lads now will take the chance because of injuries to other players so then we don’t think about it [making a signing] anymore.